Discussion in 'Giveaways and Contests' started by khanyash, Dec 8, 2018.
iMobie PhoneRescue Android Data Recovery can always save you from any data disaster at the very first moment. It adopts customized technologies based on each specific phone and tablet, making sure you get back your lost data and files with the highest success rate. Covers literally all Android devices from SAMSUNG, HUAWEI, LG, Google or any manufacturer in the market. Retrieve messages, photos, contacts, and everything you need. The ONLY software that restores lost data directly to phone. Find lost and hidden data on device with or without root. A complete solution to recover WhatsApp data, even attachments. Highest data recovery success rate in the industry. Comment on "why you would like to win iMobie PhoneRescue Android Data Recovery" to make a valid entry. NOTE: I don't have any info on the license. I didn't activate it. It should work fine and should be lifetime upgrades. It works, good, it doesn't work, forget it. I need this for all my friends who break their android phone screens and can't retrieve their contacts. Thanks. Great giveaway for an interesting software. Countless thanks for all your efforts made in bringing us very good & quality giveaways. Please count me in to this draw as i will definitely need a rescue sofware to recover accidentaly deleted stuff from my phone. I have mentioned in the details that I don't have any info on the license. I have contacted the support now. I may cancel the giveaway depending on the license info like not lifetime upgrades, etc. I want to win iMobie PhoneRescue Android Data Recovery because the loss of important data on the device is a big nuisance, and the recovery in the service carries a large material cost and the risk of losing privacy. 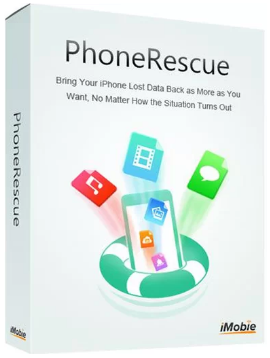 The iMobie PhoneRescue Android Data Recovery app will not only recover files from your device, but also extract the data of your Android device and remove the Android lock screen. I received a reply. It is not a lifetime upgrades license. The giveaway is cancelled. I am trying to arrange a license. The giveaway is stopped until then. If I cannot arrange a license then I will cancel the giveaway. @pf100 is the first to enter the giveaway. I would like to offer the above mentioned license to him. And hope it is at least a year license. What do you say @pf100 ? some business information in his phone. Thanks @yashkhan for this giveaway. The giveaway is cancelled. I have a license of iMobie Android that expires on Feb 2019. Do you want? License sent to @pf100. He replied "There's no license info anywhere in the program. In the forums, it says it's lifetime though, so I assume that's what it is." Hope it is a lifetime license.